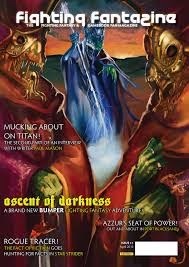 Today, we have Andrew Wright, writer of Tin Man Games app Catacombs of the Undercity, creator of the recent Advanced Fighting Fantasy bestiary part II, Beyond the Pit, as well as contributing to Fighting Fantazine, Yahoo Groups, Windhammer and many other things. Today's article is mainly about Beyond the Pit. Enjoy! What is it about Titan's monsters that are so great? As we say in Thailand, the monsters of Titan just have that "same same, but different" feeling. You've got the standard fantasy tropes present, but then you have the gonzo stuff, like the Gonchong, the Ganjees, the Red-Eyes, the Bloodbeasts, and so on. For people like me, Out of the Pit was better than the Monster Manual or the Fiend Folio because it had "colour" text, and no stupid monsters like the Morkoth or the Flumph. What is your favourite monster? Why? The Bloodbeast. There's just something very iconic about Iain McCaig's cover depicting it for Deathtrap Dungeon. Now that you have done Beyond the Pit, what do you have planned next? Too much as always! I'm toying with the idea of a herbiary for Advanced Fighting Fantasy, in the style of Arion Game's rejig of the Sorcery Spellbook. I also need to plan and write the solo adventure Barbarian Warlord! for an upcoming issue of Fighting Fantazine, as well as part 2 of the multi-player AFF adventure "The Hunt for the Black Whale", not to mention a Windhammer Competition entry for this year, and a bunch of other stuff as well. 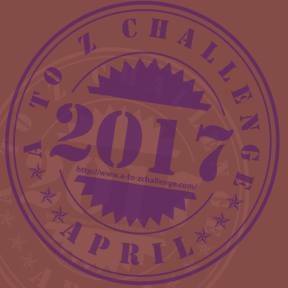 What would you say to someone who wants to contribute to the world of gamebooks? Read as many gamebooks as you can, particularly classics like Dave Morris' Heart of Ice, the Bloodsword series, and the Fabled Lands series. What's an absolute no no when it comes to writing gamebooks? These days I think it's Instant Death Paragraphs. Boring, pointless, and a waste of space. Others might say One True Path - they want variability and replayability. What ingredients make an excellent gamebook? A good story, an interesting setting, and fun and understandable rules go a long way to creating an immersive in-game flow experience. What's your next gamebook-related project? It's either Barbarian Warlord! which will be a shorter reboot of Armies of Death for Fighting Fantazine (but with better mass combat army rules), or my Windhammer Competition entry for this year. Where do you think that the world of gamebooks is headed? At the moment it seems to be diverging between app-based gamebooks and RPG-based sourcebooks for former gamebook systems or gameworlds. What is your wish for gamebooks? More physical gamebooks. People say the printed word is dead but as I spend most of my day staring at a laptop screen, I like to read a physical book to chill out. Dead tree versions of Tin Man Games' Gamebook Adventures (including my own Catacombs of the Undercity), Fabled Lands books 7-12, and more Fighting Fantasy books would be definite purchases for me. They need to be reasonably priced however - I didn't go near the Way of the Tiger Kickstarter because it was just too pricey. Arion Games has shown you can launch simple Kickstarters with minimal stretch goal nonsense and a quick product return and I think that's the way to go.